This past weekend Callibra’s CEO Chris Galassi, MD stepped up for the Shave for the Brave event to support Children’s cancer research. 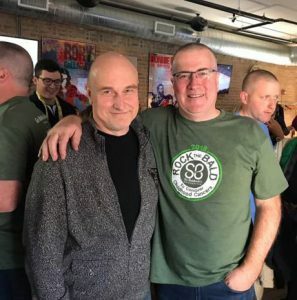 Dr. Galassi was one of more than 100 volunteers and shavees in the St. Baldrick’s Foundation’s 2018 Shave for the Brave held in Park Ridge, IL on Saturday, April 7. He admits he didn’t “have a big mop of hair in the first place,” but notes that through this one event location more than $87,000 was raised for childhood cancer research. 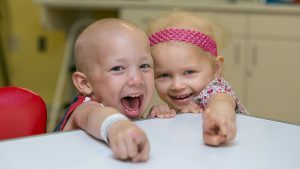 According to The St. Baldrick’s Foundation, more children are lost to cancer in the US than to any other disease. 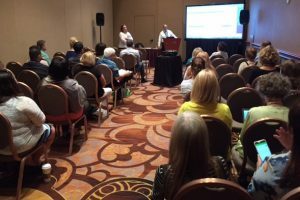 Discharge 1-2-3 and Allscripts jointly previewed the integration of Discharge 1-2-3’s Composer software into Allscript’s Sunrise system at the ACE (Allscripts Client Experience) 2016 Conference in Las Vegas last week. Composer makes it fast and easy for clinicians to create customized discharge instructions and patient education in multiple languages. Plans are to make Composer available for all Sunrise emergency department, inpatient, and ambulatory venues by early 2017. Composer is already integrated into all Allscripts ED systems. At a session entitled Sunrise and Discharge 1-2-3 Integration, Mary Chorley, Senior Manager, Solutions Management at Allscripts, provided an overview of Composer and how it will enhance Sunrise. She said that Composer will be seamlessly integrated into Sunrise. Dr. Chris Galassi, CEO and Product Director for Discharge 1-2-3, then demonstrated Composer, showing how it will work in Sunrise. 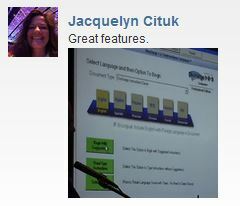 His presentation highlighted several of its capabilities. ACE is the place every year for Allscripts users to learn best practices and find out what’s on the road map for all Allscripts products. More than three thousand attended the three-day conference this year, with many stopping by the Discharge 1-2-3 booth to get a personalized Composer demo and discuss integration plans. ACE 2016 was a great opportunity to catch up with customers, prospects, and our partners at Allscripts. 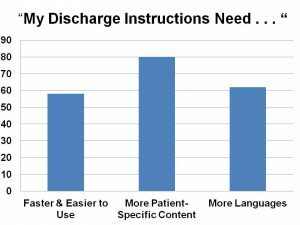 Research confirms that discharge instructions can improve patient adherence to treatment and reduce readmissions. This was the focus of Dr. Chris Galassi, Discharge 1-2-3™s CEO and Product Director, during his presentation on Advancements in Discharge Instructions and Patient Education at the recent Allcripts Client Experience conference in Boston. Dr. Galassi cited research that showed patients often don’t understand how to take care of themselves. An Institute of Medicine study states that ninety million Americans have difficulty understanding their own medical care. Several studies suggest that 40-80 percent of the medical information communicated by health care practitioners in the doctor’s office is completely forgotten by the time the patient gets home and that half of the information is recalled incorrectly. According to research published in Academic Emergency Medicine in 2012, patients have demonstrated particular difficulty in understanding post ED care instructions. A Journal of Emergency Nursing study indicated that despite patients’ high stated levels of satisfaction with communication in the emergency department, over half of patients failed to comply with important discharge information. Another problem is that discharge instructions are often written at an inappropriate reading level. Numerous studies document that health-related materials exceed the average user’s reading ability. According to a 2013 article in Journal of Emergency Nursing, although it is recommended that ED discharge documents be written at a sixth-grade reading level, previous studies have indicated that these documents typically are written at a 9th to 10th grade reading level. Good discharge instructions can contribute to improved outcomes. Numerous studies support the conclusion that clear communications reduce knowledge deficits. 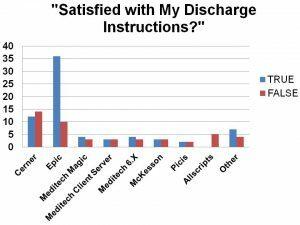 In one study a VA hospital cut its 14-day readmission rate dramatically by introducing automated discharge instructions. 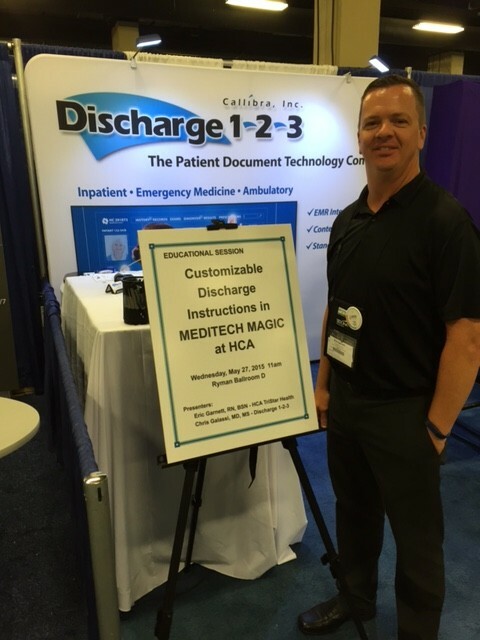 Eric Garnett, Clinical Specialist – Emergency Services at the TriStar Health Division of HCA, presented an educational session at the 2015 International MUSE Conference entitled Implementing Improved Discharge Instructions in Meditech Magic at HCA. Dr. Chris Galassi, CEO and Product Director for Discharge 1-2-3™ Callibra, Inc., co-presented. 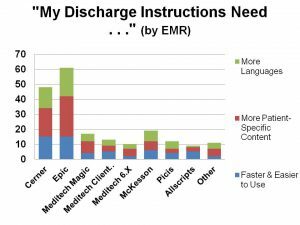 HCA is integrating Discharge 1-2-3 software into all its hospitals that use Meditech Magic with plans to upgrade to Composer this year. Please drop me a line if you would like to see the entire presentation. Dr. Chris Galassi, Discharge 1-2-3™s CEO and Product Director, and Kathy Davis, Sr. Product Manager for Allscripts ePrescribe, presented on ePrescription Research and Usage in Allscripts ED at the Allscripts Client Experience (ACE) conference in Chicago on Thursday, August 14. Discharge 1-2-3 recently integrated Allscripts ePrescribe into its Composer software, and the new version–Composer eRx– will be available to Allscripts ED hospitals later this year. Galassi chronicled the growth and benefits of eprescription and demonstrated how eprescribe will function within Discharge 1-2-3’s Composer software, while Davis detailed the regulatory requirements for electronic prescribing for controlled substances (EPCS). 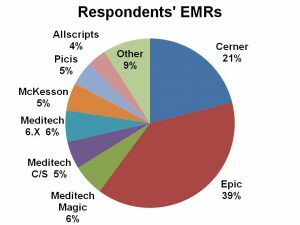 In 2013, according to Surescripts, 58% of eligible prescriptions in the US were routed electronically, representing a 32% increase in volume over the previous year. This rapid adoption took place because eprescription is now a Meaningful Use measure for both hospitals and professionals. ePrescription drug overdose surpassed traffic deaths as the leading cause of preventable death in 2011, and two out of three prescription errors are caused by illegible handwriting, misunderstood abbreviations, and unclear dosages. Prescription fraud continues to be a substantial problem despite efforts to create tamper proof prescription materials. More than 1.5 million patients injured annually by drug errors. One study estimated that each preventable adverse drug event (ADE) that took place in a hospital added about $8,750 to costs. Handwritten prescriptions are often difficult to read, requiring pharmacy callback for clarification. Improved patient safety – fewer ADEs. Increased efficiency – less time wasted clarifying prescriptions. Better medication adherence – promotes appropriate drug usage. Cost savings – fewer preventable ADEs and improved throughput. Finally, Galassi demonstrated how Discharge 1-2-3’s Composer seamlessly integrated Allscripts ePrescribe into the Allscripts ED workflow. If you would like more information about Composer eRx, please contact us info@discharge123.com. Composer eRx™ enhanced version of this award-winning software for Allscripts ED hospitals that seamlessly integrates Allscripts ePrescribe into discharge instructions workflow. Composer for Sunrise™ Composer™s easy and fast point and click customization and advanced integration will soon be available to Sunrise hospitals. Arabic language content – Arabic joins Spanish, Chinese, French, Vietnamese, Russian, and Somali discharge instructions and patient education content available in bi-lingual format. ePrescription Research and Usage in Allscripts ED, with Kathy Davis, Sr. 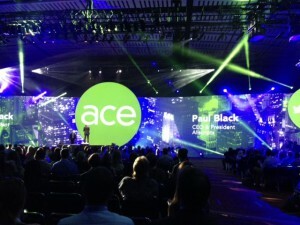 Product Manager for Allscripts ePrescribe, on the conference’s Allscripts ED track. Discharge Instructions Research and Compliance, on the Sunrise track. Please contact us at info@discharge123.com you have any questions about Composer eRx for Allscripts ED, Composer for Sunrise, or Arabic content for discharge instructions and patient education. The MUSE conference is a great window into the issues facing the Meditech user community. With at least 1,200 hospitals that use three different versions of the Meditech EMR 6.X, Client Server, and Magicit’s always a spirited conversation. The Meditech corporation maintains a presence at MUSE, but it doesn’t stage manage the event the way some other EMR vendors do their user group meetings. 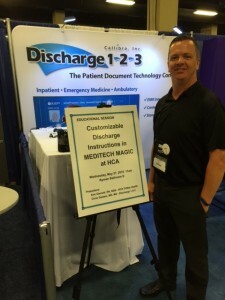 Discharge 1-2-3 demoed our newest version of discharge instructions that integrates with Meditech Magic. We also enjoyed visiting with existing clients and partners and meeting new ones. 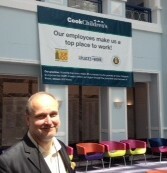 A highlight of the week was a visit to long-time customer Cook Children’s in nearby Fort Worth. Cook Children’s uses Discharge 1-2-3 software with its Meditech Client Server system. Many Meditech users expressed the opinion that Meditech’s existing PDI system could be improved upon. We heard a number of comments about the inability of a clinician to customize on the fly and the quality of some content. Meditech shared their strategic vision of the future, which includes being cloud hosted and web-centric and improved content management. 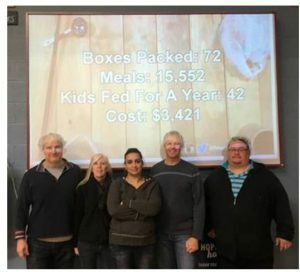 Management also made it clear that they understand they don’t always have the best solution for every situation and they are increasingly collaborating with partners and third-party vendors. The move towards pay for performance is entering a crucial phase as Accountable Care Act incentives wind down and potential penalties ramp up. Including Readmissions, VBP, HAC, and MU, hospitals will soon have 7% of their Medicare revenues at risk. MU criteria that seem to have been particularly difficult to attest to include CPOE and patient portal. What were your take-aways from MUSE?